Price on essay, term paper, or research papers writing! SALE! 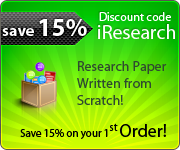 Thank you for your interest in our professional research paper writing services! Here you can review our pricing system, which is very simple and easy to use, and choose the price level that suits your expectations. We do not charge extra for cover page, outline, or bibliography. These pages are delivered for free along with every single research paper we write. In addition, we do not charge extra for the academic level but we do take into account when assigning the writer to help you with research paper writing. We do not charge extra for superior support and we treat all our clients with due respect. The price per page (1 page is 275 words, double-spaced) depends on deadline only. The longer the deadline, the cheaper our services are.